Hot on the heels of another exhilarating PDC William Hill World Darts Championship comes the PDC Masters 2016, in which 16 of the world’s leading darts players will do battle at Milton Keynes’ Stadium:MK for the £200,000 top prize. Michael van Gerwen left the championships following a defeat against Raymond van Barneveld. It came at the end of what had proved a momentous year for the Dutchman, who claimed 13 ranking event titles and completed the ‘career grand slam’ of winning all of the big televised majors. 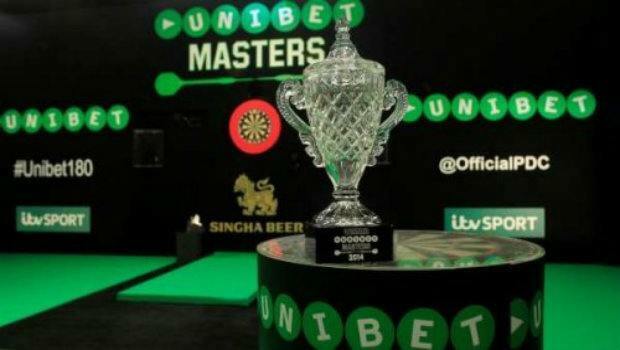 The world number one will be looking to defend his crown despite ultimately losing out to Gary Anderson, who took the championship trophy at Alexandra Palace for a second year running. van Gerwen is no stranger to bouncing back from defeat, and last January he claimed his first Masters crown with an impressive tournament average. In the final, he averaged 112.49; one of the highest three-dart figures in a major televised final. van Gerwen will begin this year’s Masters with a first round tie against Stephen Bunting, a player who, while highly capable, occasionally lacks confidence when the stakes are high. Indeed, Van Gerwen has won nine of their 11 meetings, which includes the last seven consecutive games. ‘Mighty Mike’ is tipped to extend that run at the Stadium MK on January 30. Priced at 1/8 by William Hill Sports, he looks likely to get his 2016 campaign off to the best possible start. Despite his brilliance in defending his World Championship crown, it remains to be seen whether Gary Anderson will perform to the levels expected of him in this tournament. The Scotsman certainly fell short at the Masters last year, where he limped to the semi-finals before running out of steam against van Barneveld. Anderson averaged below 95 in two of his three matches, which just wasn’t up to par for a game of this level. For the first round, the 45-year-old will come up against Vincent van Der Voort, who he defeated at Alexandra Palace just a couple of weeks ago, and for the second round, he’ll play the winner of the Robert Thornton/Dave Chisnall tussle. If Anderson isn’t at his best against either of those two players he could find himself in trouble. No darts preview would be complete without a mention of Phil 'The Power' Taylor, who may have exited the World Championship rather prematurely in the third round, but who played reasonably well along the way. He’ll play Jelle Klaasen in the first round at Milton Keynes, and will no doubt be itching to set the record straight. The 2/5 on offer at Coral Sports for ‘The Power’ to exact some revenge over the young Dutchman looks tempting value. Another player worth looking out for at the Masters will be Adrian Lewis, who offers those two things that all punters love: strong form and a decent tournament pedigree. He comes fresh from reaching the final of the World Championships, where incidentally he threw more maximums than anybody else, and he reached the last four of this tournament last year before eventually bowing out to van Gerwen. With an agreeable draw that sees him take on Kim Huybrechts in the first round before meeting James Wade or Terry Jenkins in the second, Lewis has a great chance of going far in this tournament. At 10/1 with William Hill Sports, he’s enticing value each way. Players Championship Darts Betting Tips: Who Can Stop MVG? Will Michael van Gerwen Win Again at the 2018 PDC Masters?